Autonomous cars (also known as driverless/self-driving/robotic cars) are vehicles that are capable of sensing the environment and navigating without human input. To achieve next-generation mobility, the client, a renowned autonomous vehicle technology company, wanted to develop a vehicle equipped with self-driving technology in order to redefine the in-vehicle experience. Accordingly, the company contacted Advantech to collaborate on the development of a solution for accurate environment sensing. The hardware components of an autonomous vehicle are similar to the parts of the human body that allow detection and interaction with the outside world. Environment sensors are the components that allow autonomous vehicles to take in raw information about the environment. 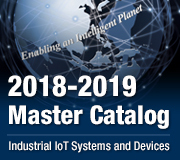 In order to analyze and understand the surroundings, environment sensors must be supported by high-performance machine vision technology and intelligent hardware. The client required a reliable, high-performance system to perform the complex data processing necessary to enable environment sensing by an autonomous vehicle. To process real-time visual data for environment sensing, the client selected a digital SDI camera for vision input to avoid the latency issues (400 to 500 ms) associated with IP cameras and achieve superior image resolution. However, the use of a digital SDI camera generates metadata that must be processed by the in-vehicle system. Accordingly, the client required a compact and robust system with an integrated high-performance graphics processing unit (GPU) and 4 ~ 8 USB I/O for connecting to external radar. 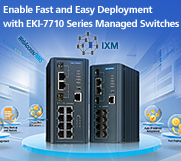 To ensure easy installation and operation, the client also required a low latency multi-channel (up to 8 channels) video-processing capture card, fieldbus protocol support for in-vehicle communication, and a user-friendly software development kit (SDK) for easy development. To enable environment sensing by the autonomous vehicle, 4 to 8 SDI cameras were installed on the vehicle to ensure accurate detection. 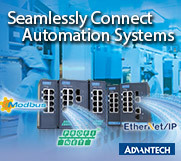 To handle the high volume of sensing data generated, the client selected Advantech’s MIC-7700Q compact and fanless modularized system equipped with a 7th Generation Intel® Core™ i LGA1151 processor and Q170/H110 chipset for high-performance computing. A DVP-7640E video capture card was included for collecting real-time video data from SDI cameras and transmitting the raw full HD 1920 x 1080 video data to the system at a frame rate of 30 with minimal latency. The high-performance Tesla P4 GPU card installed on the MIC-7700Q system allows the received video data to be processed effectively. In order to integrate the GPU card, the MIC-7700Q system was expanded with the addition of an MIC-75S20 i-Module chassis that features 2 x expansion slots, 1 x PCIe x16, 1 x PCIe x4, and 2 x 2.5” HDD/SSD bays. Once processing is completed, the data I s then sent to various in-vehicle systems to enable autonomous driving. To facilitate in-vehicle communication, the MIC-7700Q was equipped with Advantech’s iDoor technology to expand the CAN bus I/O and support connection with the engine control unit (ECU), various inertial measurement units (IMUs), and advanced driver assistance systems (ADAS) that allow further decision making. With the provision of up to 8 x USB I/O, the MIC-7700Q can also be connected to external devices, such as 3D Lidar sensors, GPS modules, odometers, and an emergency brake. 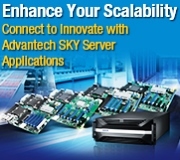 Furthermore, to enable convenient software development, Advantech also provided an easy-to-use SDK that supports stacking of multiple cards for vision capture applications. 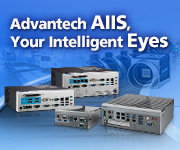 Advantech’s MIC-7700Q system provides a highly stable computing platform for vision capture and environment sensing applications. Equipped with multiple I/O for flexible expansion, the system’s compact and robust design ensures easy installation and reliable operation in industrial in-vehicle environments. The DVP-7640HE video capture card supports real-time video acquisition from up to 8 input channels for comprehensive sensing and video analysis. The integrated 7th Generation Intel® Core™ i processor enables high-performance computing for complex data processing. 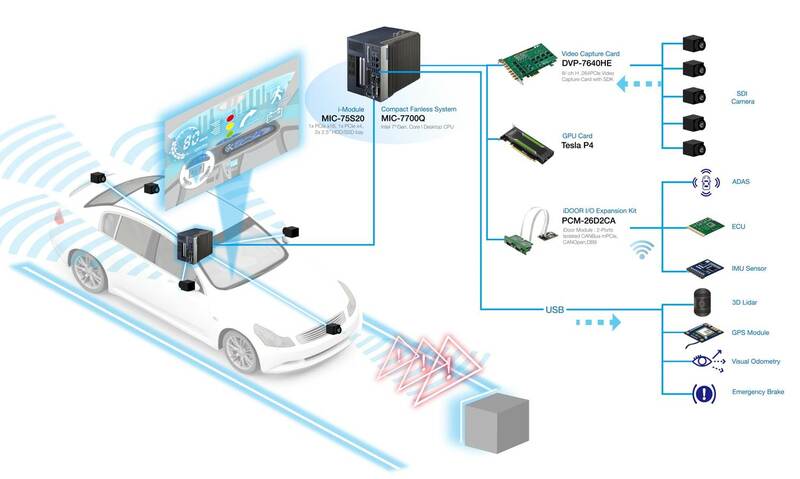 The inclusion of an MIC-75S20 i-Module as well as Advantech’s iDoor technology allows the system to support a GPU card and CAN bus I/O expansion for real-time in-vehicle communication. Finally, the added provision of a user-friendly, open-architecture SDK that supports multiple languages enables developers to quickly and conveniently develop unique software and applications according to specific usage requirements.